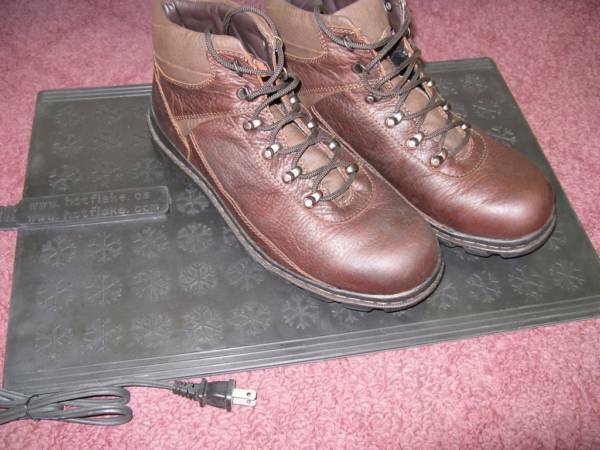 Indoor Foot Warmer - 14" x 21" | KEMF Inc. 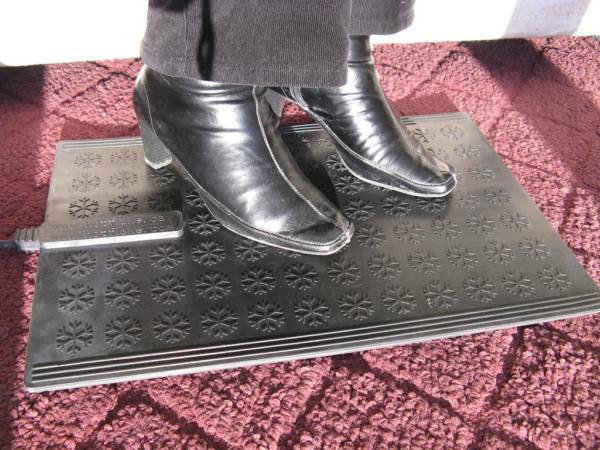 Promotes circulation to lower extremities – promotes body warming. Ergonomic design helps promote good posture when sitting. Uses less energy than a light bulb – draws only 240 watts of energy. Surface design delivers a passive foot massage. 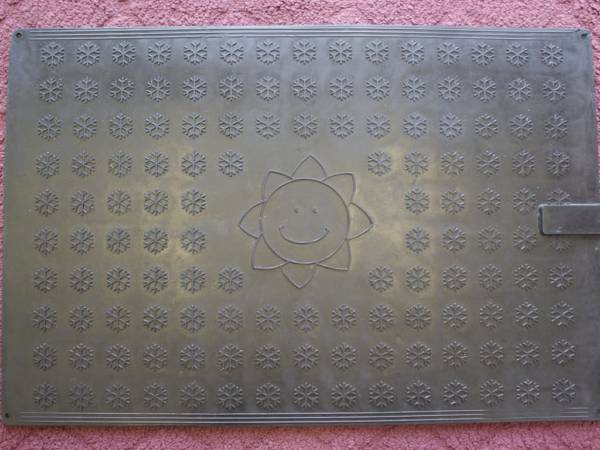 Take care as to what type of surface you place the mat on as some delicate surfaces may discolor or crack from even this gentle heat. 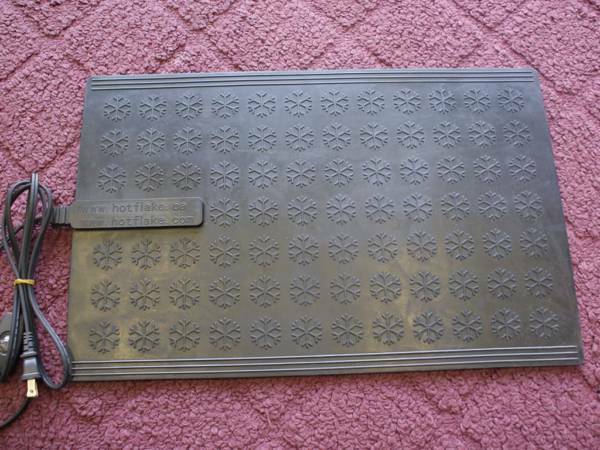 If you are not certain, place some cardboard under the mat for insulation. Do not fold or twist. Do not use if cut or damaged. Keep dry and free from obstruction. Size 35 x 53 cm / 14 x 21 in. Thickness 1.016 cm / 0.4 in. Weight 1.36 Kgs / 3 lbs.